Commercially printed greetings for Valentine’s Day appeared in the United States in the first part of the 19th century. Although most printed valentines expressed sentimental attachment, a tradition of sending comic cards developed, especially in Great Britain and the United States. 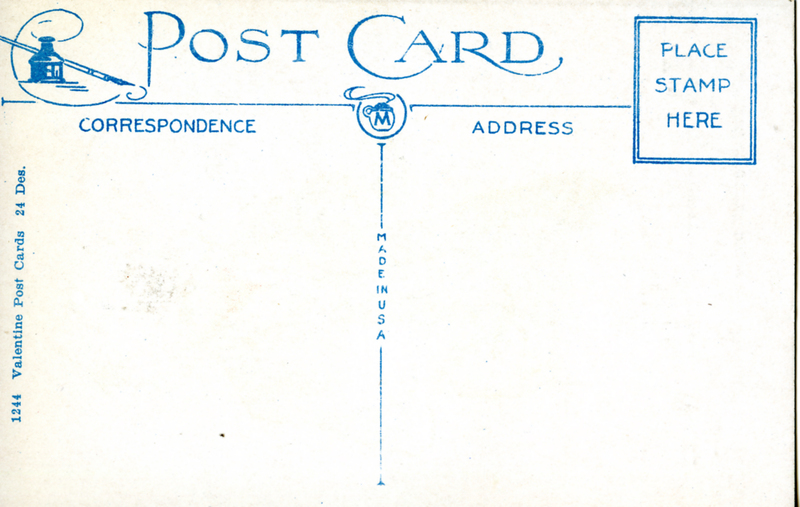 Postcards became popular early in the 20th century and offered an inexpensive way to send these greetings. 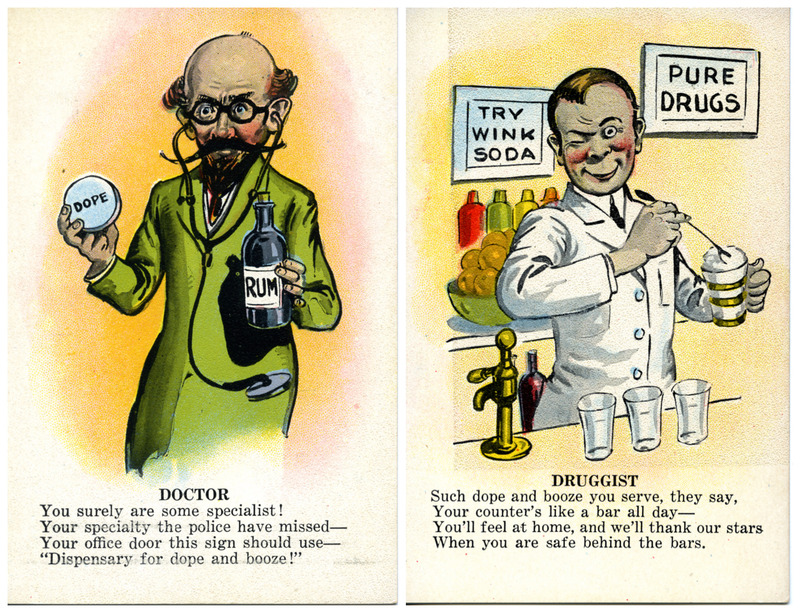 Our doctor and druggist valentine postcards. Click to enlarge. At first glance, these postcards with their skewering verses do not seem to be valentines at all; a look at the reverse of the card, however, demonstrates that they were meant as such. As Bill Helfand, a notable collector of medical and pharmaceutical ephemera, notes in his article “Pharmaceutical and Medical Valentines,” many of these valentines were issued in sets, and our two caricature valentines were part of a set. The reverse side of a valentine. Click to enlarge. William H. Helfand, “Pharmaceutical and Medical Valentines,” Pharmacy in History 20:3 (1978), pp. 101-110. This entry was posted in Collections, History of medicine and tagged doctor caricature, druggist caricature, ephemera, Valentine's Day, Valentines by nyamhistorymed. Bookmark the permalink. Drugs and booze were the meds of the past. Still are for lots of people.